Here at American Flooring Removal, we specialize in dust-free natural stone floor removal. 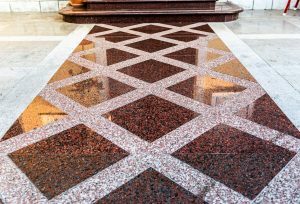 We employ a specialty system which suctions and removes dust and debris right from the surface of the stone floor as it is removed. Our equipment is powerful, strong, and guaranteed to significantly reduce, or even completely eradicate, the dust and debris that is often associated with natural stone floor removal projects. 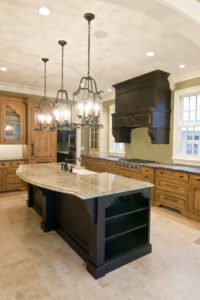 Here at American Flooring Removal, we specialize in dust-free natural stone floor removal. We employ a specialty system which suctions and removes dust and debris right from the surface of the stone flooring as it is removed. Our equipment is powerful, strong, and guaranteed to significantly reduce, or even completely eradicate, the dust and debris that is often associated with stone flooring removal projects. Our specially-designed dust-free equipment makes the natural stone floor removal process much faster than traditional stone floor removal. It is also more efficient than traditional removal techniques and is substantially cleaner. This gives our stone floor removal process the added benefit of being the most environmentally friendly solution. Whether you have been putting off removing your natural stone floor because you needed a dust-free, fast, clean solution, or just want a change of pace, American Flooring Removal can help you today! Our specialized dust-free natural stone floor removal system leaves behind a more even and clean flooring surface. This virtually eliminates the need for further preparation work before you can begin installing your new flooring. The added efficiency of a ready-made flooring base decreases costs by reducing the preparation work needed before install. With less dust in the environment after the stone floor is removed, projects can move forward more quickly. Essentially, there is less time spent on cleaning up unwanted messes before installing your new flooring. Our affordable dust-free natural stone floor removal process also makes American Flooring Removal the ideal choice for businesses like schools, hospitals, medical clinics, commercial business office buildings, and discriminating homeowners in need of natural stone floor removal. School administrators often find themselves between a rock and a hard place when it comes to natural stone flooring removal and replacement. Budget cuts, no time for areas of the campus to be shut down, and many other factors usually result in postponing badly needed flooring replacement. American Flooring Removal understands the need for quick, efficient turnaround with natural stone flooring removal. Our dust-free system provides our clients with an affordable solution. Because our dust-free system produces better results in less time, the natural stone flooring removal stage of your renovation will be the least of your worries. Our system leaves no dust behind after the stone floor is removed, ensuring teachers, staff and students can get back to work right away without any extra hassle. Hospitals and other medical facilities often shy away from replacing their worn-out stone floors due to concerns about the residual dust and debris that remains after traditional flooring removal projects. Our-dust free process ensures no harmful dust is left floating around, which can potentially pose an environmental threat to sensitive patients. Because our system produces results faster than traditional natural stone flooring removal, you can get back to the business of saving lives in a much shorter time. This quicker turnaround is ideal for hospitals and other medical facilities, where repairs to the flooring can cause patient overload in other locations, even potentially resulting in deadly oversight. Our dust-free system is the ideal–and indeed, maybe the only–choice for medical buildings. No dust or particles will be left behind to contaminate equipment or harm patients who are receiving care in the facility. Discriminating homeowners in need of natural stone flooring removal can count on American Flooring Removal to provide a quality experience without all the headaches generally associated with home repair. Our dust-free system is the perfect choice for homes with young children, elderly relatives, or other family members who need clean air and a dust-free home. Our dust-free stone floor removal system does not leave a mess behind, saving the homeowner the trouble of cleaning up for weeks on end after their flooring is replaced. Don’t worry about pets tracking dust from room to room for days, either; our dust-free natural stone flooring removal system takes care of that from the start. No one should have to put off removing or replacing their floors, or have to put up with turning their whole living situation upside down just to get it done. American Flooring Removal is here with fast, easy, dust-free stone floor removal solutions to make this part of the project a breeze. Business office buildings see an enormous amount of foot traffic. One of the costs of doing business is needing to remove damaged flooring and replace it in a timely manner, without a hefty out-of-pocket bill cutting into profits. American Flooring Removal utilizes a fast, efficient dust-free natural stone flooring removal system designed to complete your project in as little time as possible. Our equipment leaves behind no dust from the natural stone flooring removed, and creates a cleaner, flatter floor base than traditional flooring removal techniques. When you need to get natural stone flooring replaced and get back to business as usual in a timely manner, start by calling American Flooring Removal and asking about our affordable specialty dust-free system! Call us or Contact us for a consultation on affordable, dust-free natural stone floor removal today!